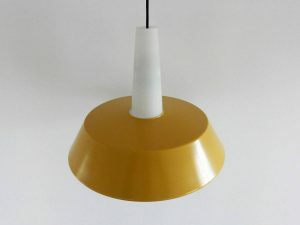 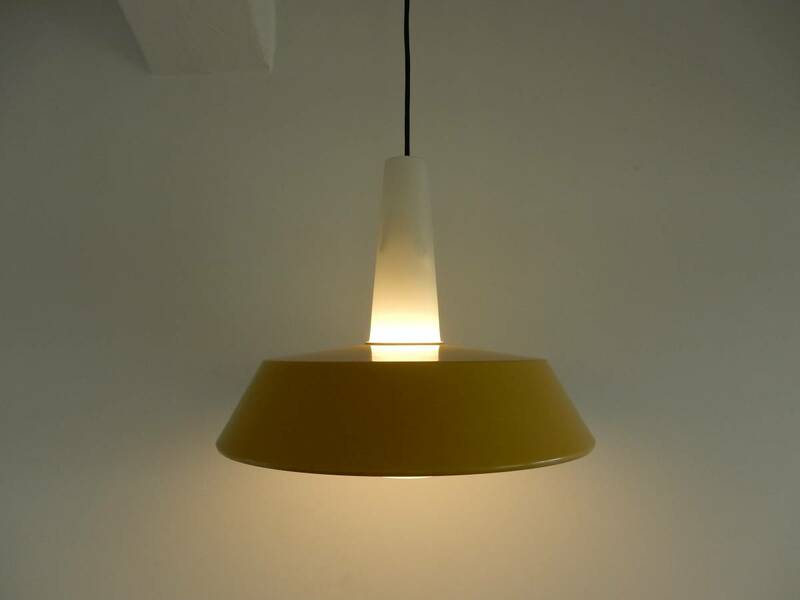 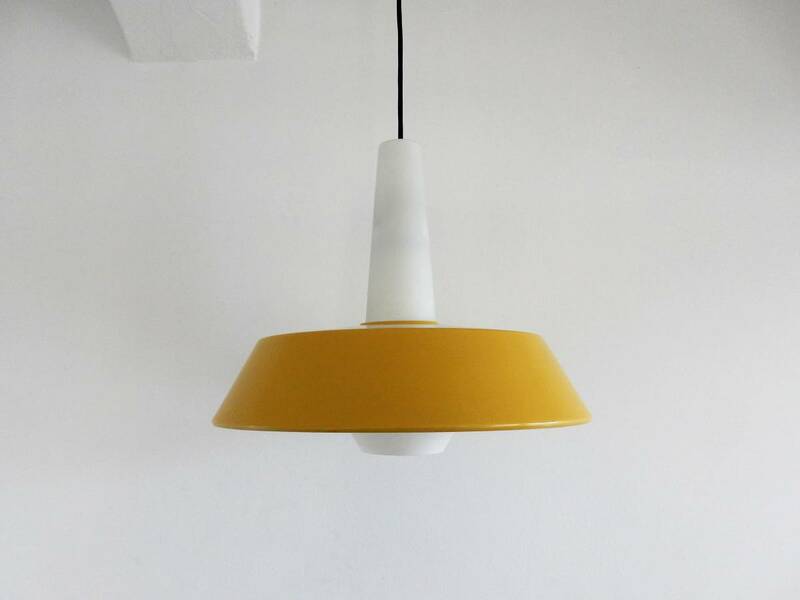 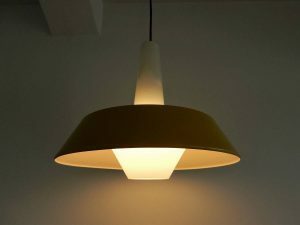 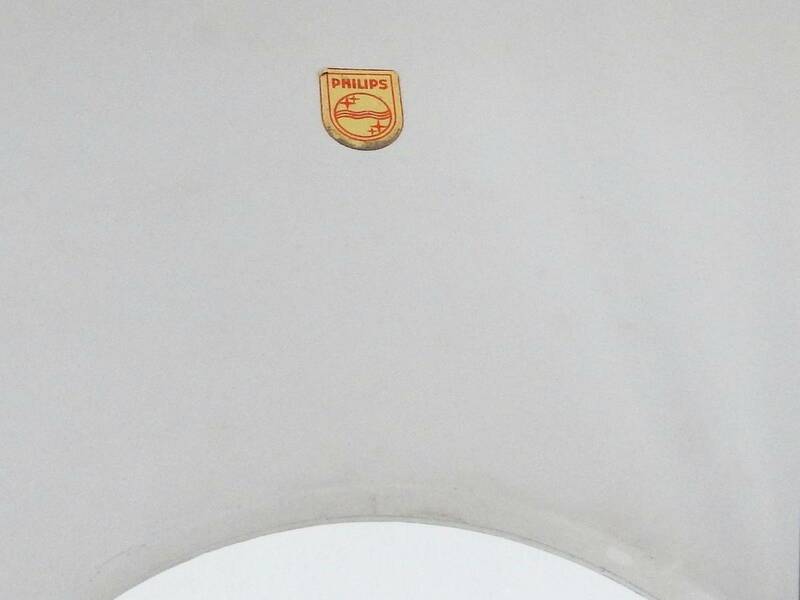 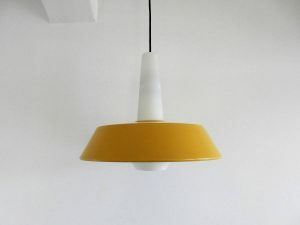 This NT45 pendant lamp made of satin glass and yellow lacquered metal was designed by Louis Kalff for Philips. 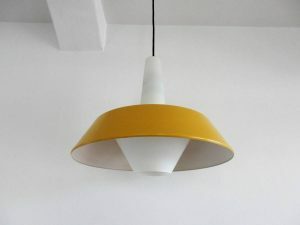 It is in a very good vintage condition with minor signs of age and use and it has its original label inside. Documented in the Philips catalogue of 1960.